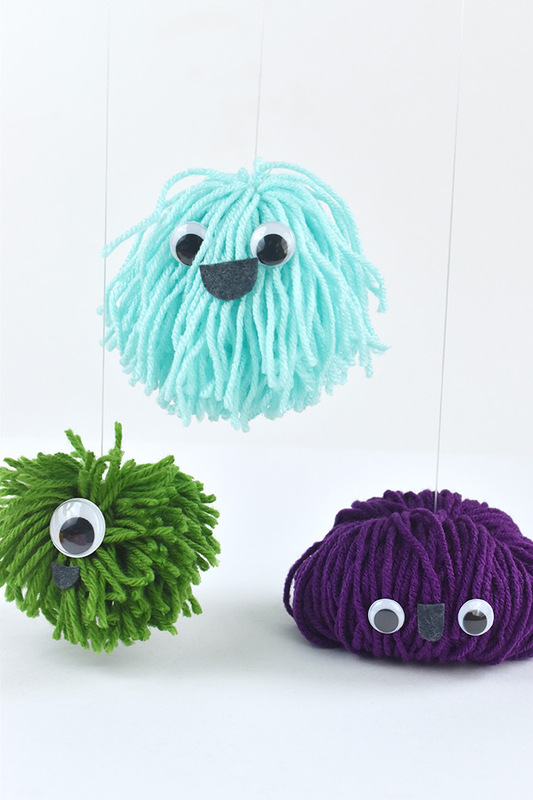 It’s always fun to make pompoms, and even better when they become not-so-scary Monster Puppet Pets! 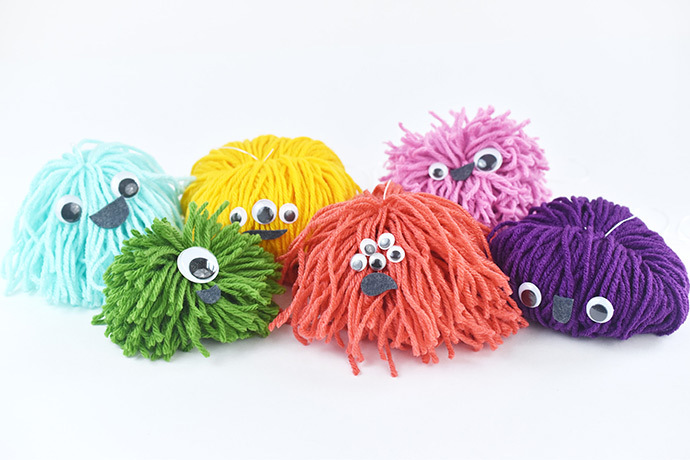 Each one starts with a handmade pompom shape, but with a bit of elastic and a silly face, you soon have a bouncy friend to walk along with or do a puppet show with! 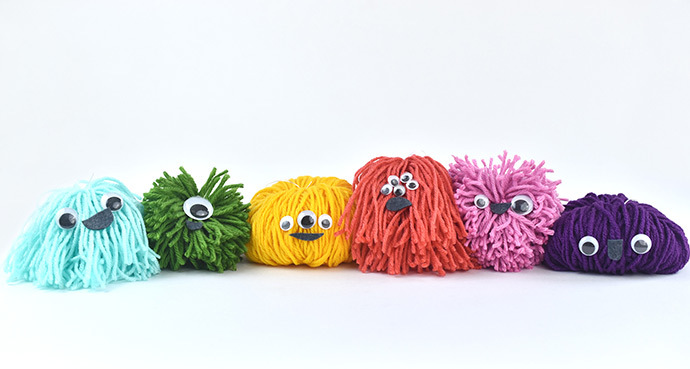 You can make all your monsters the same, but it’s so much fun to mix up the pompom styles, colors, and face designs. Get creative with it! 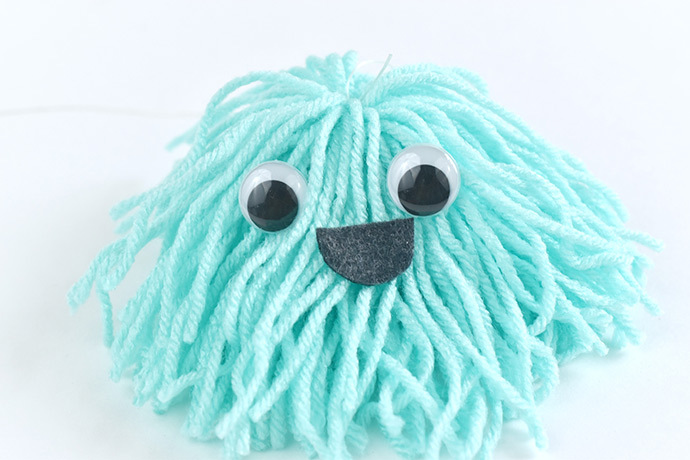 And while you can use a traditional pompom maker, you don’t have to for these creatures. They’re easy to wrap and craft! Ready to make some puppet pals? Let’s start wrapping! Cut a piece of cardboard to about 4-1/2 x 7-1/2 inches. 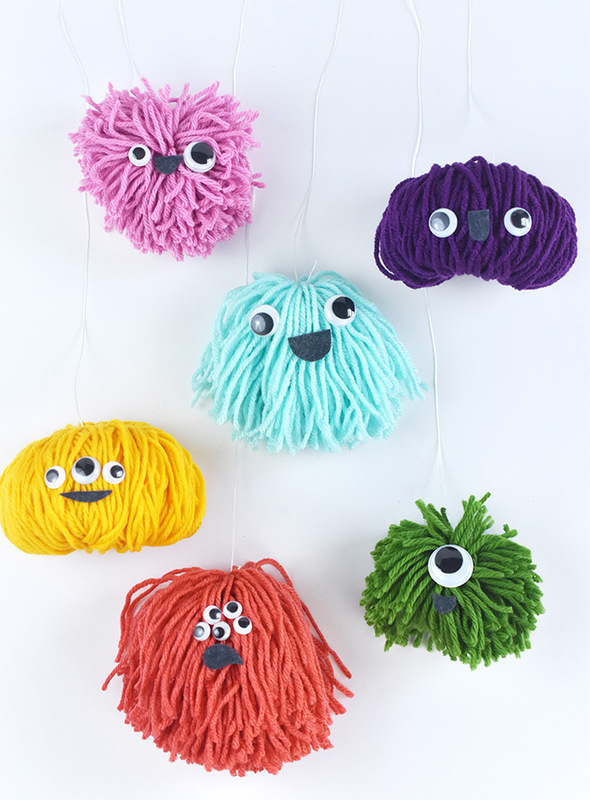 You can use this piece to make all three styles of pompom monster. For a floppy monster, wrap yarn around the cardboard the long way. Keep wrapping until it’s starting to feel a little thick. Cut the end of the yarn. Cut a piece of matching yarn that’s about 9 inches long. 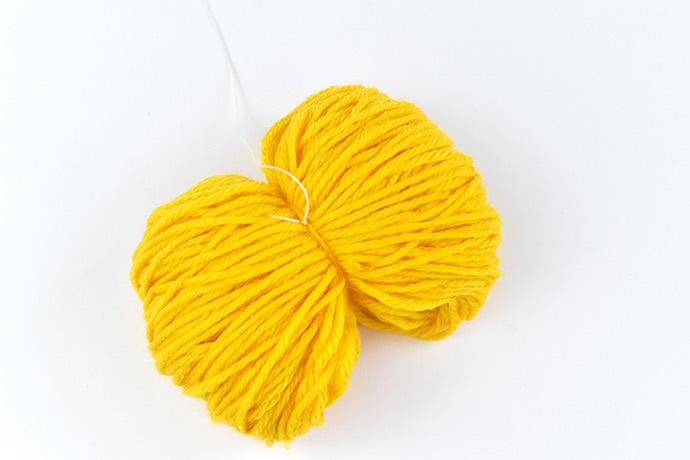 Lay the yarn on your work surface. Then lay the end of the elastic string over the middle of the yarn, but going the opposite direction. 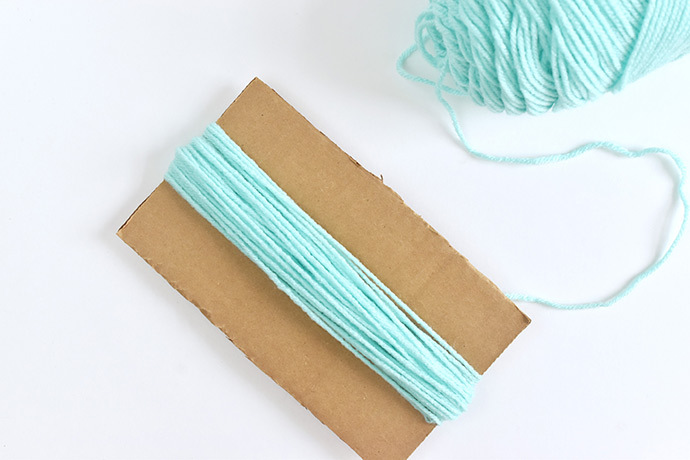 Slide the wrapped yarn off the cardboard and place it on the yarn and string, with the wrapped yarn going the same direction as the elastic string. 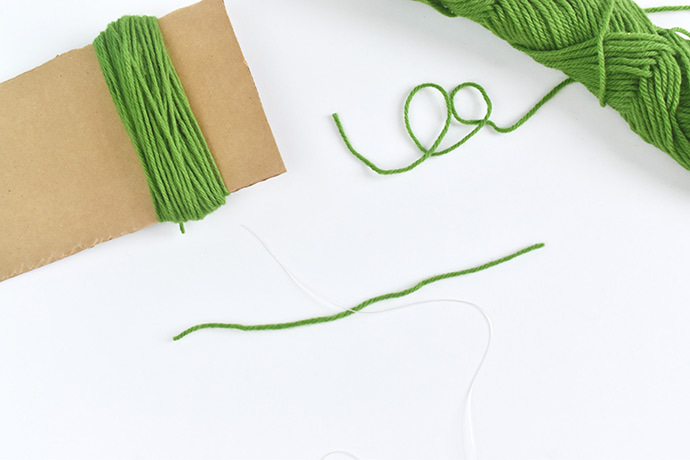 Use the cut piece of yarn to tie around the middle of the wrapped yarn. Tie a strong knot as tight as you can. Sometimes it’s helpful to have an extra set of hands for this. 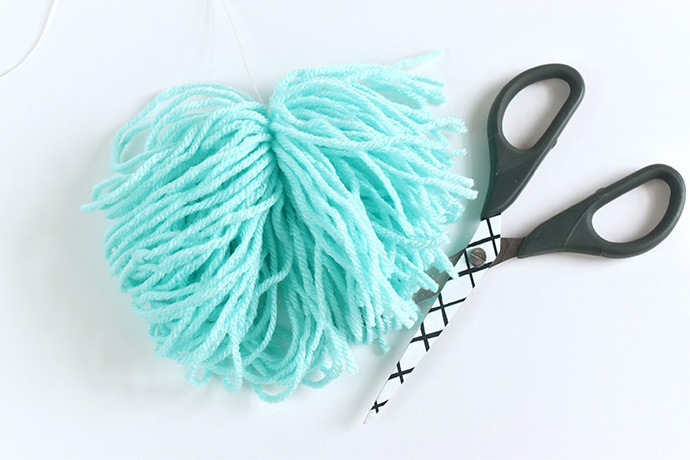 Turn the pompom over and secure the end of the elastic string by tying a double knot. 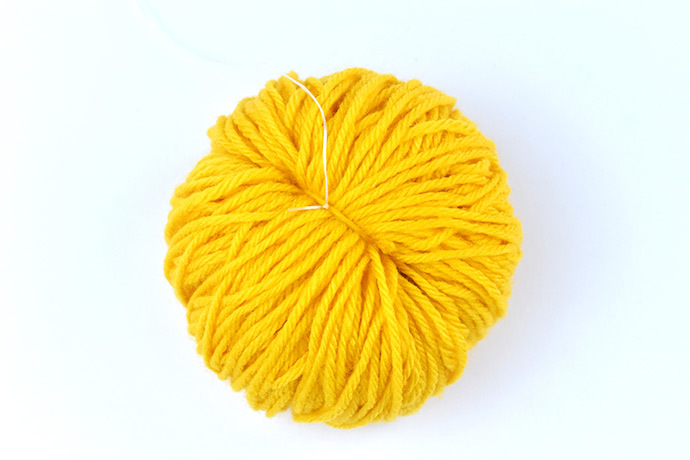 It should be under the yarn tie in the pompom center. Cut through all the looped ends of yarn. Be careful not to cut the elastic. 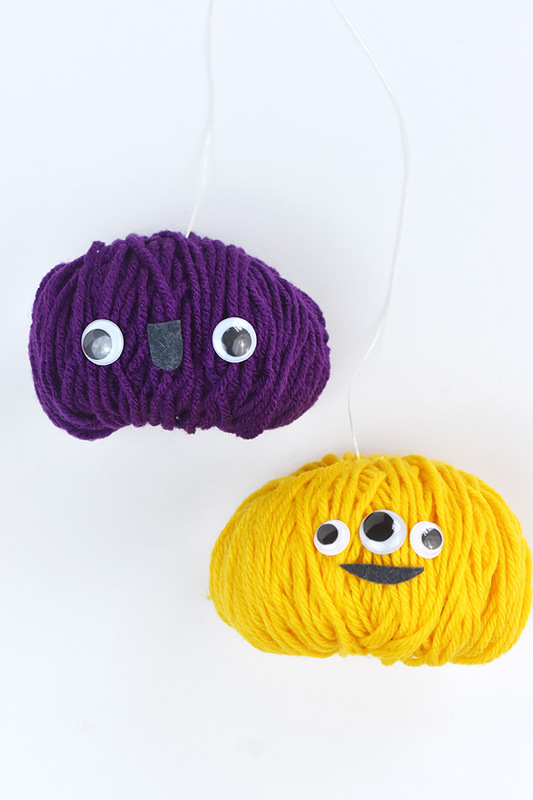 Trim the ends of the yarn to shape your monster however you like. For this version, I mostly trimmed the bottom to make it a little flatter. 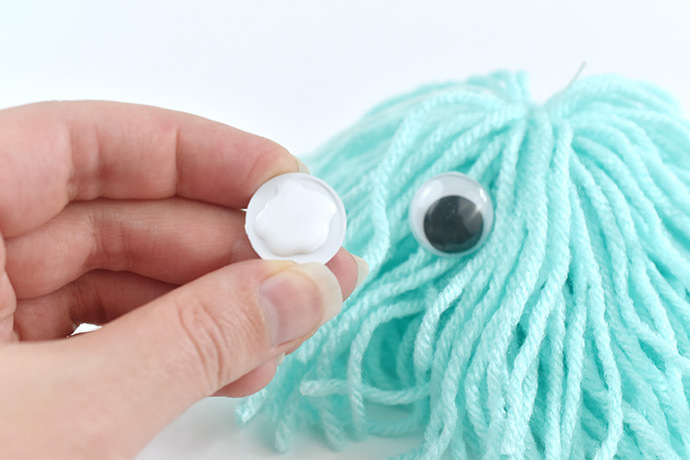 Use craft glue to attach one or more eyes to the front of your monster. Try to stick it to a chunk of yarn. 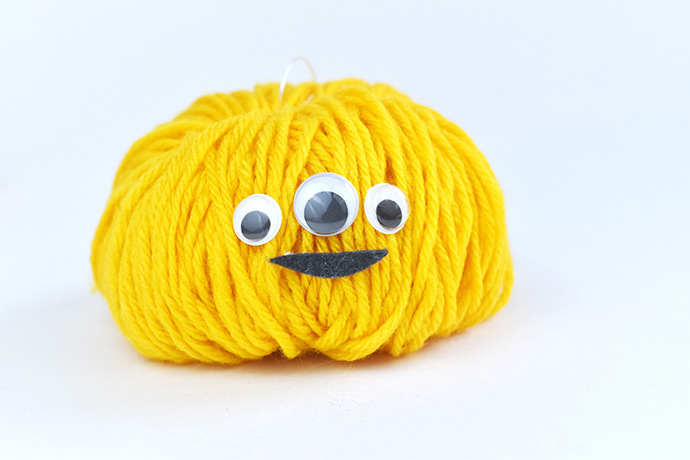 Even when the yarn moves, the eyes will stay in place. Cut a mouth shape out of felt. You can keep it simple, or even layer several colors of felt if you want. Attach the mouth to the pompom. Cut the other end of the elastic string so it measures about 3 feet long (or whatever length you like). 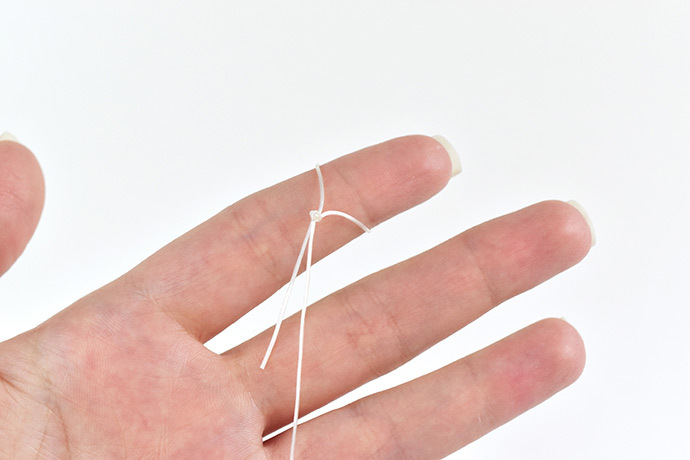 Fold the end over and tie an overhand knot to make a loop. 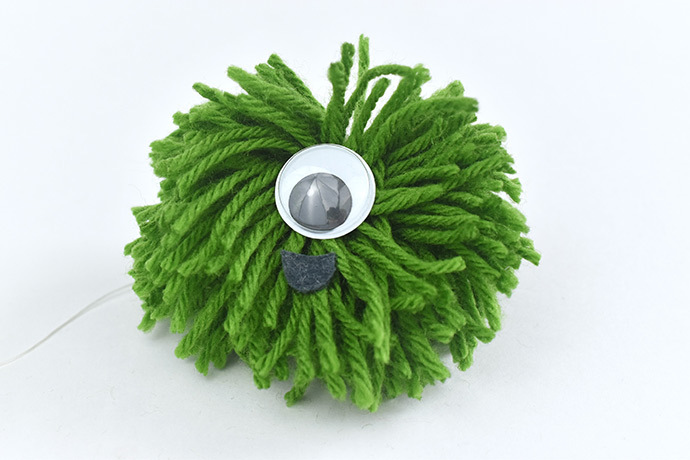 Now you can slip it over your finger to hold your Monster Puppet pet and make it jump and dance! But first, make a few more puppet friends! 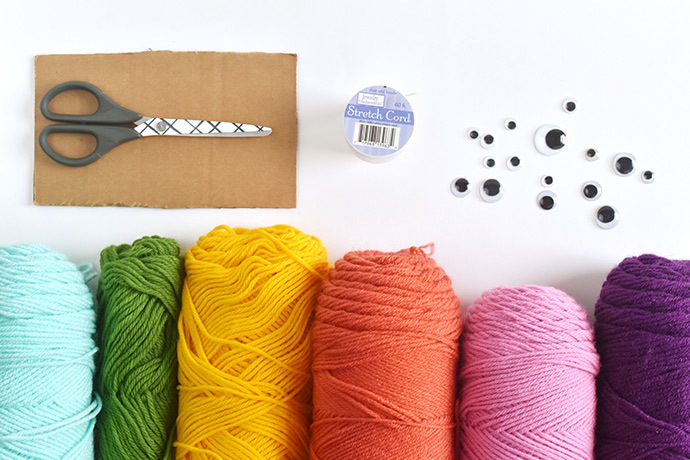 To make a fluffy monster, wrap the yarn around the cardboard on the narrower side. Use as much yarn as you want. 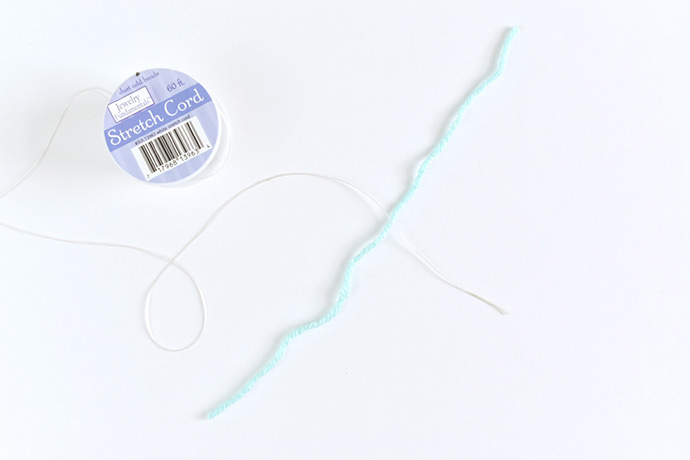 Just like before, cut a piece of yarn and lay it out with the elastic on top. Then slide the wrapped yarn off and tie the center with the cut piece of yarn. 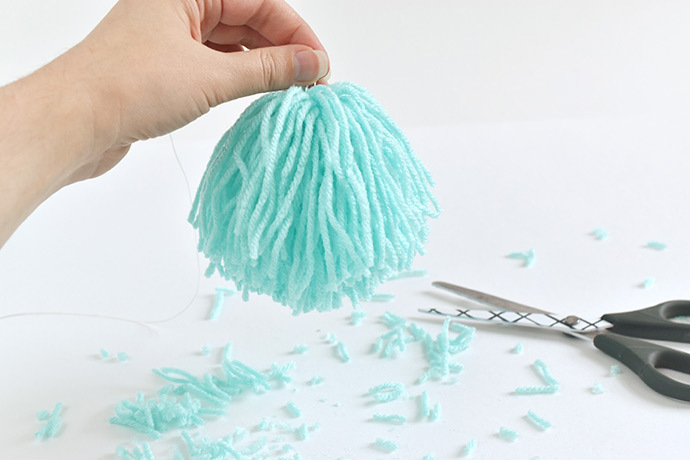 Cut the loops of yarn, trimming and shaping the pompom with scissors. 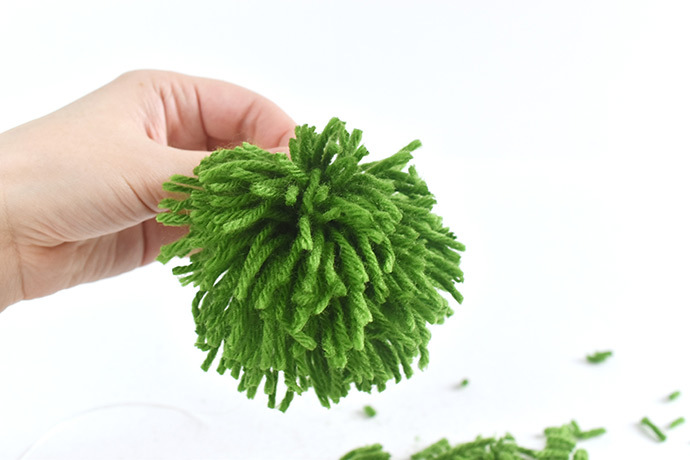 Glue the eye (or eyes) and mouth so they are nestled in toward the center of the pompom. 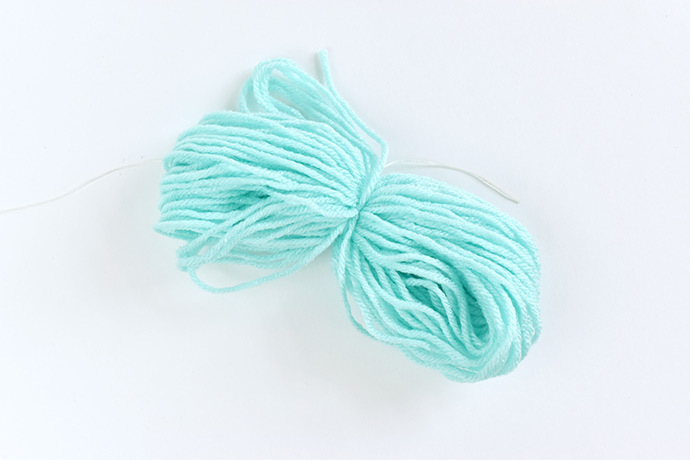 For a puffy monster, wrap the yarn on the narrow side, but this time wrap it a lot more. Keep on wrapping until the yarn looks very full. 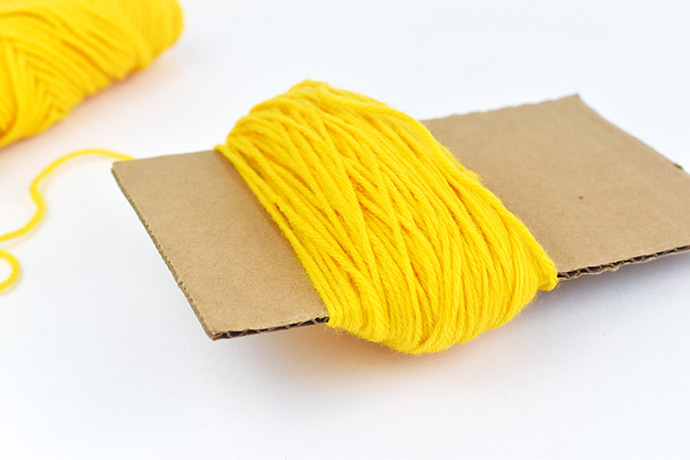 Slide the yarn off the cardboard and tie it with a piece of yarn and the elastic in the middle, just like the others. This time, don’t cut the loops of yarn. Instead, bring them together at the sides and shape them into a puffy monster. Add the wiggle eyes and a mouth, then get ready to play! Each style of monster has a different weight, which means they bounce a little different. And that’s part of the fun! You can also give each one it’s own style and character by the way you make the face. Try playing around with the placement of the eyes and mouth before you glue them. A little change can make a big difference! Let your Monster Puppet Pets dance, jump, spin, and play!